One of the sidings that I wanted to create was a place for the trains and locomotives to be able to go and be covered from the elements. Because the back yard slopes down so much and because our basement is finished, I decided to create a siding that goes into the pool area. 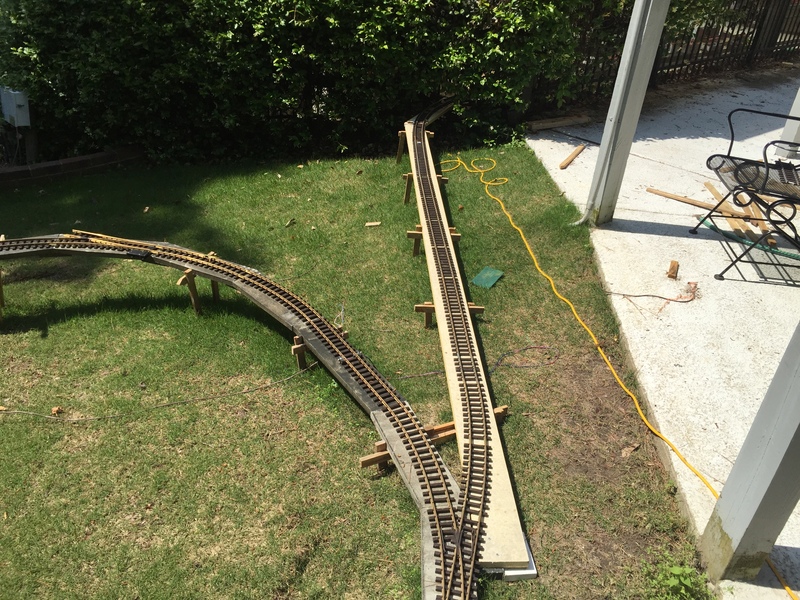 That way I can pull out complete trains to run the track and then return it to the siding that it came from. This will also give me a place to keep the transformers and some of the electronics to run the system and to keep those electronics out of the weather. 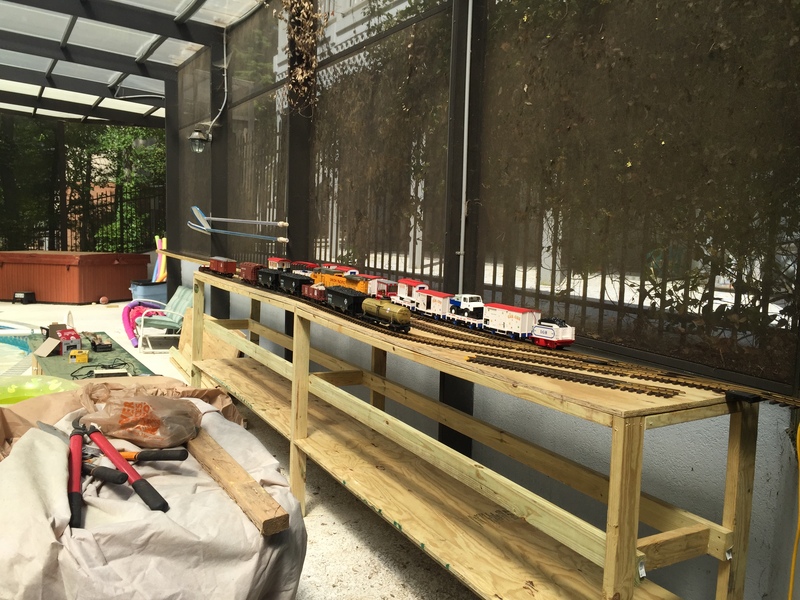 The pool siding isn’t ideal as it is only screened in and is subject to the humidity and temperature outside but I will build a cover to keep any rain off the siding and during certain parts of the year, I will take into the house the key locomotives and cars to keep them out of the elements. 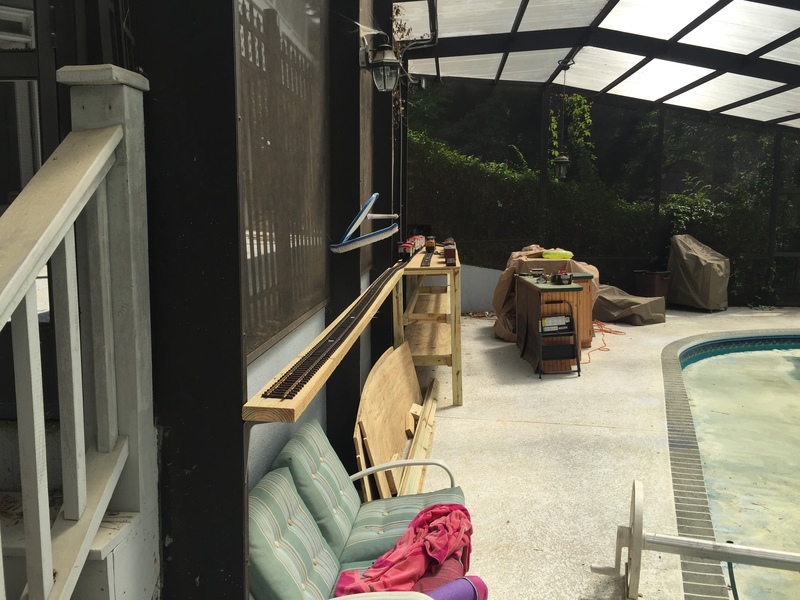 The new siding goes through the screen into the pool area. Nana Sue has already asked that I install a door to keep any unwanted animals out. Probably good use for a doggie door. The siding breaks into 3 lines after it enters into the pool. This is because the plan is to run 3 trains on the track at the same time. 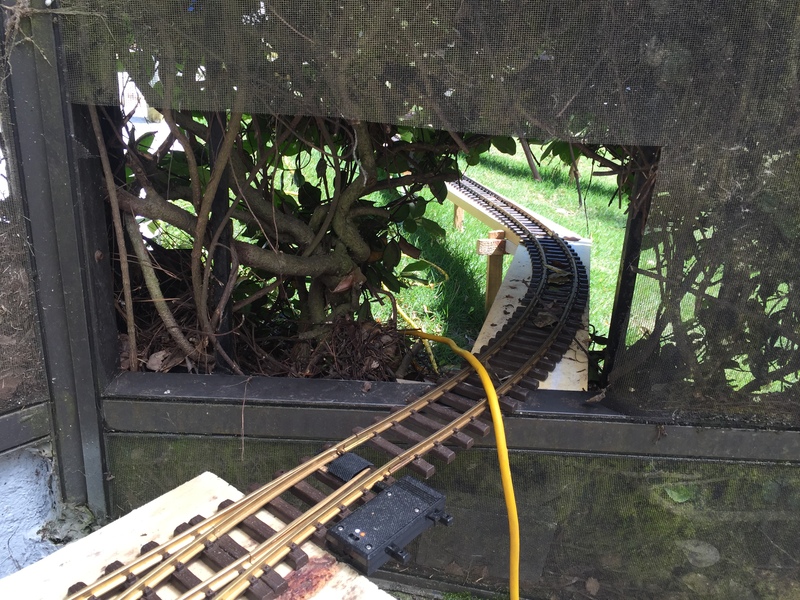 One of the lines is very long as you can see as the main line train is planned to be long so it can drop off cars at different sidings along the way and then pick them up.